What are the Socktopus and the Turkish military doing in my dresser? I don’t know the answer to that – but there they both were – in my dresser – this very morning. My close friends and family know that my socks NEVER (ok, rarely) match – and they also know I don’t care a whit about matching socks. My close friends and family ALSO know that M. DOES care about matching socks, and not having other people touch or use his socks. This is a BIG bone of contention in our marriage, so much so, as a matter of fact, that my best friend has given my husband new socks for Christmas for the past 2 years. So, few mornings go by when we don’t have some sort of sock debate or sock argument. 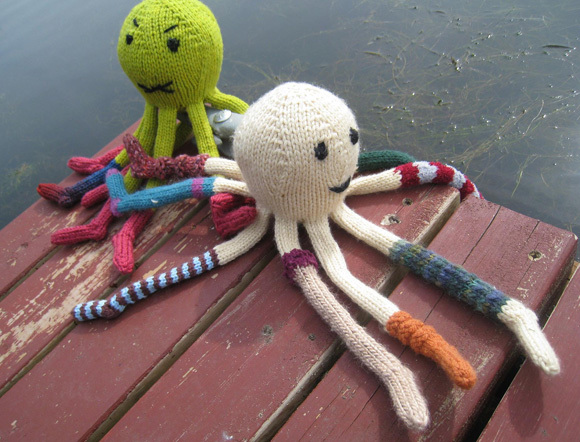 I didn’t take a photo of MY socktopus, but I do have a video of someone else’s – check it out – well worth the minute plus to see this video. It leaves Kenne unnerved and Karagoz celebrating in chaos! This entry was posted in Cross-cultural learning moments, Visits from the Karagöz puppets and tagged argument, Karagöz and Hacivat, Marriage, Sock, socktopus, Turkish Armed Forces, Turkish military. Bookmark the permalink. Hah! This is the evidence I’ve needed to back up my claims all these years – that ‘it wasn’t me!’.